G-WERX CHANGES LIVES FOR THE BETTER! 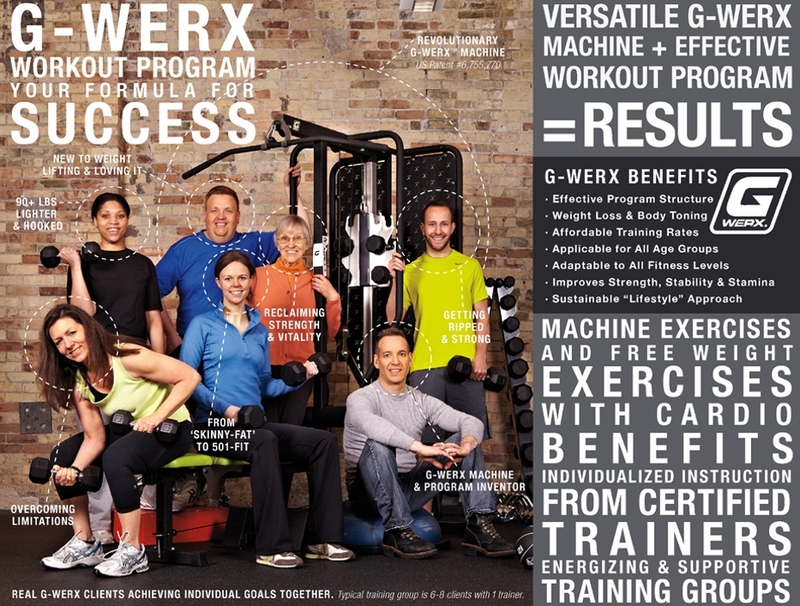 At G-Werx® Fitness we specialize in group personal training using our patented and award winning G-Werx System. The G-Werx Machine is a versatile fitness machine that makes our small group methodology efficient, safe and exceptionally effective for trainers & our client community. We strive to give clients the results they desire including strength, balance & well being. Our Training system began in a small studio in NE Minneapolis from 2004-2007. G-Werx was tested in a commercial gym environment at 501FIT from 2007-2017. In 2014, a small studio of 1,100 square foot studio was opened in South Minneapolis. With a 13+ years track record and continuous development, G-Werx Fitness will grow with small neighborhood studios. G-Werx is a platform for clients to exercise safely as a lifestyle! The 1:10 (trainer:trainee) ratios create training efficiencies that allow clients to share cost yet receive ample attention. We provide the best fitness training at the best price so strength training is the foundation of fitness for more people!